Combined Heat and Power (CHP) is a low carbon technology which produces both hot water and electricity. 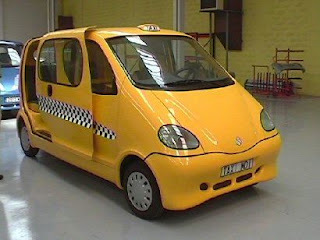 It’s been used mostly at the commercial level for some time but there is a small domestic version, known as Micro CHP. To date, it’s not been staggeringly successful. The proposition isn’t that appealing, at least as far as homeowners are concerned. You shell out about two or three times as much as your would for a gas boiler, and you get some of your electricity requirement thrown in with your hot water. Whilst large and medium sized CHP plants are doing rather well, down at the micro level things have come becalmed, especially as the only one commercially available, the gas-fired Whispergen, pictured here, has temporarily ceased production. Thanks to the boys over at Carbon Limited who have flagged up a report from The Carbon Trust on the micro CHP. It has drawn some interesting conclusions in comparing the performance of 87 Micro CHP units with 27 condensing boilers over a four-year period. • Key finding is that in order to operate effectively, micro CHP has to be in a situation where it can run for long periods uninterrupted. If the system cycles on and off frequently, it ends up using more electricity than it generates. • But in housing, micro-CHP advantages are marginal at best. The demand has to be significant to make any savings, so it may be a runner if the house is very large or very old and uninsulated. Think listed manor houses – that sort of thing. The cut-off point identified by the report is a heat demand of more than 20,000kWh/annum, which would apply to almost all 20th century housing over 200m2 internal floor area (say five bedrooms). • One of the main issues with today’s generation of micro CHP is that they only produce 1 unit of electrical power for every 10 units of hot water. This doesn’t match general domestic use, which is more like 1:3. Not until new technology kicks in (fuel cells anyone?) will a micro CHP plant start producing a better balance. • Having said that, there is a good match time-wise. Peak electricity and hot water demand tend to occur at the same time (think dark winter nights), unlike technologies such as roof mounted PV arrays. So there is every chance that the electricity you produce, you will actually consume rather than having to export it to the grid at knockdown prices. • The report also has some factoids about condensing boilers. It concludes that they achieve efficiencies about 5% less than their SEDBUK rating would suggest. And also that the electrical controls use large amounts of power to run the pumps, fans and control systems. Some designs are worse than others and the difference is significant. In some instances, the electrical consumption associated with condensing boilers may account for 15% of the household electricity bill. George Monbiot writes in today’s Guardian about the plight of the very poor in Britain and how badly they are served by our social housing. It’s a long piece, just over 1200 words, and he spends almost the whole piece exploring the plight of some desperate families, who Shelter seem to have put him in touch with. Then suddenly, at the end of the article, without so much as an argued link, he switches into conclusion mode: I find myself, to my intense discomfort, supporting the preposterous housing target (i.e. to build 3 million new homes by 2020). There is a legitimate debate to be had about where and how these homes are built. However - though it hooks in my green guts to admit it - built they must be. It’s a pity he didn’t spend a little longer analysing his green guts because he could, and should, have come to a very different conclusion. Britain most definitely does not need 3 million new homes in the next twelve years, especially if they are all to be one- and two-bedroom flats. Bad as the plight is of his case studies, Wendy Castle, Jacqueline Pennant and the Afghani asylum seekers Aisha and Abdul Omarzaiy, the situation is not going to be improved by a huge housebuilding programme. The flats that they live in will still be there in 2020 and the chances are that they will still be filled with either the same families or ones just like them. Our borders are porous and however cramped the housing is in Kensington & Chelsea, it’s still a toehold in London. The bottom end of our social housing market represents a result if you come from Afghanistan. What will happen if we build 3 million new homes? In an open Britain, they will fill up with approximately 10 million new people. And as they will mostly be flats, rather than family homes, the amount of overcrowding will continue much as before. If we really wanted to tackle the overcrowding issue, we would do better to start replacing flats with larger houses, so that social renters had somewhere to go. Just building new homes in vast numbers is now scarcely more justifiable now than building a new runway at Heathrow. Lifetime Homes, as a concept, has been around since 1991. The idea is to make housing usable by people of all abilities and in all phases of life, including childhood. It’s not just about the disabled! It was developed by a group of housing experts, drawn together by the Joseph Rowntree Foundation. A few of the ideas were incorporated into Part M of the England & Wales Building Regulations in 1999, but the Lifetime Homes concept as a whole is still only widely used by Housing Associations. The Code for Sustainable Homes awards eco points for building to Lifetime Homes standard and, as it stands, the standard will have to be incorporated into all new homes by 2016. You won’t be able to score the 90% rating required to meet Level 6 of the Code without it. Ideally, from a Lifetime Homes point of view, we would all be living in generous bungalows. However, this runs completely counter to the prevailing mood in planning which demands that we squeeze as much as possible living space into the available footprint. Indeed, another part of the Code for Sustainable Homes awards points for using the basement and/or the loftspace. It’s not difficult to build a four-storey house that conforms to Lifetime Homes standard, but arguably it goes against the spirit of what Lifetime Homes is all about, which is making the whole house accessible to the physically impaired. Box ticking 1 Common sense 0. 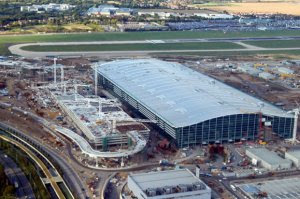 News has reached me of the fantastic efforts BAA have been making to help preserve the environment at Heathrow’s Terminal 5, due to open in March 2008. It’s taken the sustainable approach to building very seriously. Terminal 5, which is so big that it is actually three terminals, designated 5A, 5B and 5C, will use two separate water systems, one for drinking and the other for toilet flushing and irrigation. Water for the second system will be sourced from an in-house rainwater harvesting system, topped up with a borehole supply. They hope to be able to collect and re-use 85% of the rain falling on the terminal catchment area. In addition, all the bathrooms will have dual flush toilets, and the taps will have on-off sensors combined with aerated flow. BAA trills that it aims to reduce the demand from the public water supply by up to 70%. Come on guys, stop trilling. It’s an airport. There’s a new house going up on our road. The groundworkers have just finished the excavations: it’s on a backland plot and there are tree root issues, as there often are on backland plots. The photograph shows the state of play today, ready for a foundation pour on Monday. I was talking to the builder and they’ve been asked to go down 2.4 metres in some places, plus adding slip membranes around the trenches. He reckoned that they would be using around 100m3 of readymix, around 15 truckloads. That is one hell of a lot of readymix for a single house, although it’s not perhaps that unusual in this day and age. The NHBC in particular is incredibly hot on using shedloads of readymix concrete to overcome ground movement problems. Foundation issues are still the largest cause of claims on NHBC policies and over the years they have become more and more wary of clay ground and, in particular, tree roots. The list of species-which-spell-trouble seems to grow ever longer with every revision of the notorious Chapter 4.2 (Building near trees) of the NHBC standards. But consider that the house at the front of the plot (on the left of the photo) is also surrounded by trees. It’s been there since the 1880s (at a guess) and I doubt very much that it has anything much in the way of foundations — the Victorians used to just spread out the bricks at the base of the wall to make up footings. And I don’t think it’s been unduly affected by subsidence. Subsidence doesn’t really happen much in our village. So why are we putting 100m3 of readymix into the ground under this new house? The readymix alone will cost the builder at least £6,000, not to mention muck away costs for around 100m3 of spoil. And at around 300kWh/tonne, making this much concrete will release around 9 tonnes of CO2, coincidentally the same amount as the average Briton produces each year. Remember, it’s not the weight of the house that is the issue. 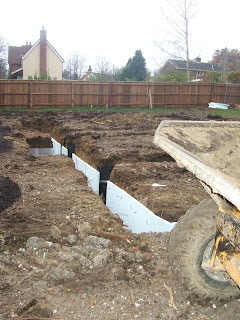 300-odd tonnes of house spread out across 50 or 60 linear metres of foundations is no great load. Compared to a 40 tonne lorry being held up by a few tyres, it’s nothing. All that concrete isn’t there to hold the house up but rather to stop it moving around: the reason the foundations go so deep is to get down to ground which doesn’t shift about through the seasons. As I surveyed the foundation trenches of this house this morning, I couldn’t help thinking of the story of Caroline Barry’s straw bale house which was built off a base of car tyres. OK, it’s maybe a little too ethnic, a little too Glastonbury for your average builder, let alone house buyer, but there’s more than a germ of a good idea here. Rather than striving to get down to bedrock, such a house would be designed to float on the ground, with the base quietly absorbing any ground movement. Maybe it’s idle fantasy — and feel free to explain just why —but surely there must be a more intelligent way of supporting a house than just pouring more and more concrete into the ground? There is an almighty schism in the sustainability movement. On one side are the hair shirts, insisting that salvation lies in a low impact lifestyle with much less consumption and much, much less travel. On the other are the techno-fixers who believe, or at least hope, that we can continue business much as usual and that we’ll soon sort out ways of creating energy without releasing CO2 all over the place. Most official policy and indeed most green organisations pay lip service to both sides of the debate. Thus we should become super energy efficient AND we should start to generate renewable power. Nowhere is this more evident than in our de facto manifesto for the future of housebuilding, the Code for Sustainable Homes, where Code Levels 1 through 4 are all about conserving energy whilst Code Levels 5 and 6 call for us to create it as well. One of the great unspokens here is that we have as yet no idea how much green power we are capable of producing. The hair shirt argument rather relies on the notion that carbon-free electricity will be in short supply and that we had better get used to conserving every joule. But it is quite conceivable that this may not be the case and that if we get our act together we could generate far more green electricity than the world could ever need. If such a scenario was to be played out, it would make many of the other sustainability arguments redundant. Or at least highly questionable. Take planning as an example. In recent months, I have sat in on several lectures about sustainable urban design and every speaker I have listened to has been at pains to emphasize the importance of getting away from car dependency. In this respect, the USA is always held up as the prime example of how not to do it (think Los Angeles and its hundreds of miles of gridlocked freeways) and medieval Europe (especially places like Tuscany) is shown as the way to go. But it goes deeper than this. The car itself is the enemy, not just for the fact that car use burns mega amounts of carbon, but also because it destroys communities by enabling everyone to shop at out of town malls and supermarkets. This in turn pulls the rug out from under the feet of small independent stores, thus making traditional town centres unattractive. This in turn leads to people driving everywhere, which in turn, leads to problems like obesity. It’s all interconnected, and it all leads back to the car. The problem for urbanists, who want to get us all back on our bikes and back into trains and buses, is that the car is just so damned convenient. And for most of the past fifty or sixty years, we have been building our economies around the notion of car use. It’s going to be incredibly difficult to wean us away from cars. But think how much harder this would be if cars were to become part of the solution to climate change, rather than its main bugbear. Some of the techno-fixers can see exactly this scenario taking shape in years to come. How come? The answer lies in the use of car batteries as an energy store. One of the main problems — in fact THE main problem — with renewable energy is that it only operates in fits and starts. On a windy day, for instance, we may conceivably draw all our energy needs — and more — from wind turbines, but that won’t get us through days without wind. Similarly, solar panels don’t work too well in the dark. What we’ve been lacking to date are credible storage methods which would be able to tide us through the times when renewables are contributing very little energy. Some have suggested that rather than building hundreds of giant batteries, or maybe pumped reservoirs, we might instead be able to use millions of small batteries which would be capable of taking and returning a charge to and from the mains. Every home would have a tray of these rechargeable batteries, acting like some huge energy internet. And, furthermore, these batteries could double as power sources for electric vehicles, which in itself would act as a considerable incentive for people to install them at home. Say each house had maybe a dozen batteries plugged into the mains. If you wanted to go out in your car, you would take one of the batteries from the tray, drop it into your car in a special battery slot, and drive off. It might only work for an hour, so if you wanted to go further, you would have to stop at a battery garage and swap your empty battery for a full one. Not only would there be enough charge in all these batteries to keep 20-odd million electric cars on the road, but also to keep the nation lit and heated during the long hours of winter darkness, not to mention a week or two of calm, overcast weather when the big renewable power plants weren’t generating. Science fiction? Probably, but the techno-fixers other solutions (e.g. mirrors in space, pouring iron filings into the oceans) are arguably even more implausible. By 2025, we might (just) have migrated to electric zero-carbon cars and motoring might no longer be seen as the No 1. bogeyman in the battle against climate change. The question is what effect would this have on the great sustainable planning debates? If cars switched from being one of the main drivers behind climate change to being one of the main solutions, wouldn’t this tend to make the move towards sustainable urban settlements look just a little hollow? Would we suddenly be able to start building in the countryside again? Would out-of-town shopping centres be back of the agenda? Would the idea of eco-towns be dead in the water? Or will the obesity issue have become so all engulfing by then, that cars will still be regarded with suspicion? Unlike Jamie Oliver, I don’t exactly have the government hanging on my every utterance, but on Tuesday evening I did get to quiz Housing Minister Yvette Cooper about her eco-towns proposals. She had just given a twenty-minute talk, at an event organised by the Princes Foundation, on why eco-towns will be the most wonderful thing since Walt Disney first came up with the idea of theme parks. In so doing, she had hit every green button you could possibly think of so many times that they were burning hot by the end of her speech. I came away with the impression that this woman is so busy dispensing initiatives that she barely has time to sit down and think. And I am worried this might actually be true. My question to her, put very simply, was this. Why bother? 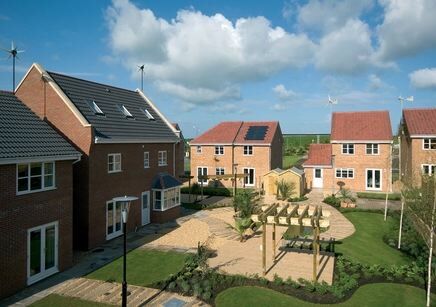 We have already been told that we are going to have to build all new homes to zero carbon standards by 2016 and we have been doing sustainable master planning for yonks, without a great deal of success, so what is the big deal about eco-towns? And why only 5,000 to 10,000 homes a time? And why out in the middle of nowhere? This being, in brief, the gist of the government’s own eco-town prospectus, published in July. c) we need even more new homes so we have to find lots of new places to put them. Now this set me thinking. What on earth would an eco-pub be like? There would of course be much more to it than triple glazing and a wind turbine on the roof. It, being a sustainable community, would have to embrace the green agenda, wouldn’t it? Would it be able to sell alcohol at all? Or would it stop you buying more than one drink? “Sorry, Madge, you’ve already exceeded your daily intake.” What about the food menu? Would it be Jamie’s pub grub? Smoking has of course already gone, but what about bad language or aggressive gestures. Just how lame would it all be? Bear in mind that Letchworth, the world’s first new town, dating from 1907, was originally built without any pubs in order to ensure the population didn’t fritter away their time and money. On this basis, an eco-pub is therefore a contradiction in terms. Then bugger me if the Guardian today isn’t carrying the following story on its front page: Fit towns plan to tackle childhood obesity. And bugger me if health secretary Alan Johnson isn’t being quoted at length saying he would like to ensure that the ten new eco-towns become fit towns. “Mr Johnson is leading a cross-government drive to put the eco-towns concept at the cutting edge of the fight against obesity.” The week before Johnson had gone on record as saying he thought obesity was as big a threat to us as climate change, and he is obviously keen to link the two issues. I am left wondering if he is trying to hijack Yvette Cooper’s pet eco-town project, because the day before she didn’t mention anything at all about this so-called cross-government initiative. It’s all rather disconcerting. What’s a cub reporter to make of it all? Should I go and drown my sorrows down at the eco-pub? • The what? I have never heard of it. § It’s a new quango. It’s not an independent body, it’s set up with government money, and it seems to be embedded within the Department of Communities and Local Government (DCLG). • I do know what the DCLG is, just about. It’s the government department that deals with planning and housing. In fact, it replaced John Prescott’s ODPM (Office of the Deputy Prime Minister). What is it with New Labour and four letter acronyms? • So it is. Maybe I am due a visit from the numeracy squad. § Funny you should say that but that is pretty much what the NHPAU does? • What? Teach hoodies how to add up? § Not quite. But it’s there to thwack NIMBIES over the head with a load of statistics and figures, setting out to prove that there is a near-insatiable demand for new housing which can only be met with very large numbers. • Let me guess. 240,000 new homes a year? § Very good. 8 out of 10. In fact the NHPAU is calling for 270,000 new homes a year up to 2016. • Where have they done this? § They’ve come up with a response to the Government’s Green Paper Homes for the Future: More Affordable, More Sustainable and it’s generated a bit of press coverage last week. • But hang on, I thought you said that they were part of the government? § Well not exactly part of the government. Just a review body that consists of members appointed by the government. • So not exactly likely to contain many critics of government policy? • So who runs the NHPAU? § Head honcho is Stephen Nickell, an economist who has sat on the Bank of England Monetary Policy Committee. • Which if I remember correctly is also an independent body where membership is decided by the government. A bit of a pattern emerging here, don’t you think? And wasn’t that Kate Barker also a member of the MPC? § She still is. And you’ve put your finger on an important connection. The NHPAU’s job is to further the new housebuilding agenda set out in the Barker reports. • Hang on a minute. Who commissioned the Barker report? Gordon Brown, wasn’t it? • And did he get the answer he wanted from it? • But, to date, it’s all come to nothing. The amount of new housing in the UK actually went down last year. It stubbornly refuses to lift off above the 180,000 a year range, doesn’t it? § That’s why we need the NHPAU. • What, due to the absence of any effective independent lobbying groups calling for more housing, the government does its own? § I wouldn’t be so cynical myself. • So what’s in this report they have just put out? Can you summarise it for me with a few choice phrases? § It’s more of the same. An awful lot about affordability, almost nothing about sustainability. They are trying to guess what level of new housing is required in order to maintain affordability at current levels. • You mean current unaffordable levels. • These are a bunch of economists, right? • So they like to look at things in terms of supply and demand. § I’d go further. They are unable to look at things in any other way. • My guess is that they spend a long time dwelling on the hardships caused by not having enough housing to meet everyone’s aspirations, but almost no time at all looking at the problems caused by trying to meet those aspirations. • My point being that it’s a big and complex problem and they have their telescopes focussed on just one relatively small area. § Well, what other areas do you think they should be looking at? • The Irish question, for a start. I bet Ireland doesn’t even rate a mention in the report? § That’s correct. No mention of what happens anywhere else in the world, as far as I can see. That does seem rather blinkered, doesn’t it? • You bet. Do you know what has happened in Ireland in the past 15 years? • They built new homes like nowhere else has ever seen before. Each year they would build more than the year before. By 2006, it had got to 90,000 new homes a year. If that was the UK, the equivalent level would be over a million, not the paltry 270,000 a year that the NHPAU is calling for. § I had no idea. I guess it must have made houses in Ireland incredibly cheap, what with there being this huge over supply. • You are joking. House prices in Ireland have risen even faster than they have in the UK. Since 1997, they have trebled. § But according to the economic theories being put forward by the likes of Kate Barker and the NHPAU, that should not be possible. What happened? • It appears to be that the more homes they built, the more people moved to Ireland to fill them up. First the Irish diaspora started to return from overseas. Then the East Europeans who had come over to build the new houses stayed on in them. They just filled up. As fast as they could build them, the population grew to fill them. This kept the prices high. The demand for new homes was elastic. § But I don’t think the analysis the NHPAU has undertaken looks at this issue at all. • Another question for you. How often do they look at the relationship between rates of new housebuilding and rates of immigration? § Well they do analyse migration. They use the term exogenous a lot. • Exogenous? What does it mean? § As far as I understand, it refers to external causes. That is ones beyond the brief of the economists. They suggest that inter regional migration is affected by the housing market, but international migration is exogenous. I guess that means it’s beyond their control. • Does that make sense to you? Why should migration patterns within a country be fundamentally different to those between nations? § I don’t know. Especially as the bulk of international migration now occurs within the EU. It acts like one big country in that respect. • The point I am trying to make is that none of these economic models of how the housing market works take on board the fact that the demand for housing is always going to outstrip the supply, almost by definition, and that rates of migration, both internal and international, are hugely effected by the supply of housing. In fact, strange as it may seem, but the housing market is just about the only tool a government actually has at its disposal to control the flow of migrants. § Are you suggesting that we stop building new homes altogether in order to stop immigration? • Not really. It’s more that I would like the politicians to acknowledge the fact that immigration rates and new housebuilding are intrinsically linked. If you increase the rate of housebuilding, you will simply increase the rate of immigration. That’s fine, if you want it to happen and you acknowledge explicitly that this is the goal of your policy. But it’s not being acknowledged. In fact, I don’t think anyone in Whitehall has even made the connection yet. § So do you think there is a hidden agenda here? Why does this government and Brown in particular want to expand the rate of housebuilding? • Well, on the surface, it seems that they have been taken in by the affordability argument. That they genuinely think that building more homes will make them cheaper. It would if the size of the overall population was static, but of course it’s not. The population will just expand to fill the new homes, so it becomes a pointless exercise. Unless of course they want the population to grow. It’s hard to say. § Is there anything else that’s troubling you. • Of course there is. There always is. It’s this ever present tension between development and sustainability. However green these new homes are made, they are still going to put stress on the environment. More traffic on the roads, more people in the streets, the schools, the hospitals, more holidays, that sort of thing. Somewhere in the back of my mind, I am thinking that we already have 22 million houses in this country. Isn’t that enough? Do we really need 25 million? What will we gain by having 3 million more? Shouldn’t we be thinking of improving the ones we have got rather than building loads more? But it’s this sort of analysis which is completely lacking from the likes of the NHPAU. They just look at the whole thing in terms of numbers. Where they see demand, they think it must be met with increased supply. It’s all so mechanistic. § Aren’t you being a NIMBY? It doesn’t follow that this means an end to growth per se. We could extend and improve the houses we have, we could knock down old houses and replace them with state of the art new homes, and we could spend money improving the environment in which we live. But at some point we have to say: “We are now closed for new housebuilding.” The question is at what point does this happen. At 25 million homes? At 30 million? Or at 40 million? When will Britain be full? Now that’s a very big question, but I think it’s time it moved onto the political agenda. We’ve more or less accepted it with roads now — there are lots of road improvements planned but just about no new motorways. We may be on the point of accepting it with runways and airports — not there yet, but the end is arguably in site. But no one has begun to ask the same questions about our housebuilding programme. Here, it’s still onwards and upwards, to infinity and beyond. § I think it’s time for your medicine. • Have I started dribbling again? Have my dentures become detached? § No, nothing like that. It’s just that you are sounding off again. It’s that vision thing, I find it rather disturbing. • Look, I am sorry, do forgive me. Must make a mental note not to get carried away with the sound of my own voice. Anything on the telly? § That’s more like it. I expect there’ll be a repeat of Dad’s Army, just the ticket really. • Sounds wonderful. Pass the Hobnobs. Check out this video link if you want to know more about California’s answer to Bill Dunster. When Part B of the England & Wales building regs concerning fire protection changed in April 2007, most of the attention, as far as domestic work was concerned, went on the fact that the requirement for self-closing fire doors had been relaxed. This was good news for builders and householders because self-closers have always been very unpopular and have frequently only been fitted to please the building inspector, and have been removed once the job was finalled. But of course, it’s never quite that simple. The reason the boffins felt relaxed enough to drop a requirement was because of the undoubted success that compulsory smoke alarms have had in preventing deaths and injuries from fire. I have heard it said that their introduction, in 1992, into the building regs has proved to be the single most effective preventative measure ever devised, and that smoke detection has rendered other safety measures largely redundant. 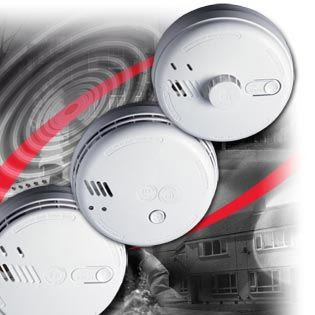 But there’s smoke detection and smoke detection and the latest Part B slipped in a clause about including more smoke detection in new households. Or did it? Up until now, Part B was easily met by installing detectors in the common areas (hallways, stairwells), one per floor. This is the basic standard, known in the trade as LD3. But Part B, 2007 version, suggests that smoke detection should now be carried out in accordance with the relevant British Standard, BS5839 (Part 6). Now this BS standard is calling for the superior standard LD2, which calls for detectors in high risk fire areas, principally kitchens and living rooms, as well as the common areas. If it’s to be LD2, then each two storey house would require four detectors: if it’s LD3, then just the two that we have been fitting since 1992. You’d think it would be an open and shut case. BS5839 calls for LD2, so LD2 it must be. But the wording of Clause 1.3 in Part B1 is deliciously ambiguous. It says in accordance with BS 5839-6:2004 to at least a Grade D category LD3 standard, despite the fact that the BS specifically calls for LD2! So what is happening on the ground. How are the NHBC and the local authority building inspectors interpreting this conundrum? Two detectors or four? It seems that the NHBC supports the move to LD2, but isn’t enforcing it. And most local authorities are following suit, though the odd inspector is insisting on the higher LD2 standard. In other words, it’s a mess. Incidentally, there are basically three different kinds of detector. The cheapest one is the ionisation type which gets fitted into the great bulk of stairwells and hallways: it picks up small (non-visible) smoke particles and is prone to springing false alarms if situated right next to the kitchen door. In kitchens, you really need to avoid smoke detectors altogether and fit a heat detector, whereas in living rooms, especially those with an open fire or a stove, you are probably best off with an optical detector. So a typical LD2 installation would involve using all three types of detector. Detectors generally are very responsive and this is one of their main failings — too many false alarms, causing householders to disable them in Basil Fawlty-style fits of anger. They are probably good for ten or fifteen years and then ought to be replaced if they are to continue serving their purpose. Most manufacturers have models which can be slid out of their housing without even turning off the mains, so it should be possible to replace a unit without having to rewire. Thanks to Neil Perdell, Technical Services Manager of Aico for his help in piecing together this article. 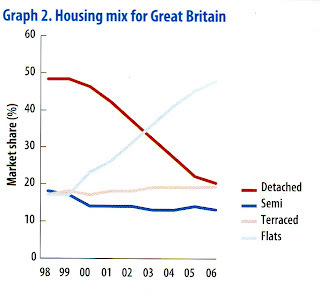 Here’s an interesting little graph, which I gleaned from the Oct 07 edition of Housebuilder magazine. It shows the extraordinary transformation in the supply of new homes in Britain over the past decade. In 1998, nearly half of all new homes were detached. Today, the figure is just 20%. In contrast, flats have gone from around 18% of the total to just under 50%. Effectively, the positions of detached houses and flats have swapped over, whilst terraced houses and semis have stayed much as they were, at least in terms of proportions of overall mix. Now there are well-known reasons for this turnaround. 1998 marked the start of the brownfield land building campaign and the move towards densification. Or put another way, it marked the beginning of the end of developers being able to buy green fields and plonk estates of detached houses on them at very low densities. Nevertheless, I am still struck by this graph. The turnaround really is quite dramatic. And it does make you wonder whether this emphasis on building flats is sustainable (in the economic sense). It would seem that, all other things being equal (i.e. pre 1998), housebuilders would be knocking out masses more detached houses than they are, but the constraints of the planning policies have more or less put a stop to this. Presumably the underlying demand for detached homes is as large as ever: given the choice, most people would probably rather bring up a family in a detached house with a garden rather than a flat. And most young flat dwellers would probably envisage themselves moving into a detached house if and when they start families. That looks as though it’s going to become an increasingly difficult aspiration to meet. So if this new housing mix remains in place — or even becomes more pronounced over the coming years — then expect to see the relative value of detached houses increase, and flats to decrease. How’s that for a bit of financial forecasting? Revisit this blog in 2017 and see if my prediction works out. Yesterday I finally got to see the Zaha Hadid exhibition, which is on at London’s Design Museum till late November. Three things struck me. Firstly, the place was jam-packed full of art and/or architecture students who were busy photographing and sketching the various exhibits. I suspect (it being a school day) that they had all been sent their by their tutors. Hadid is therefore obviously seen as a suitable case to study. The second thing was how glorious the canvases are. She is a fantastic painter, in a rather surreal, science fiction sort of way. There was bumph in the brochure about how she had studied Russian Constructivism as a student: it’s not a movement I know anything about, but it makes for some really stunning images. If there was a readily identifiable school, I would have said it was Star Wars crossed with Thunderbirds. In fact, her first house design (Peak House?) looked suspiciously like the one on Tracey Island to me. It all had a strangely 60s and 70s feel to it: perhaps a little dated now, but also rather re-assuring. It’s how we used to speculate about what the future would look like before the internet was invented. Finally, the buildings. One word will do: sterile. They really didn’t do it for me at all. 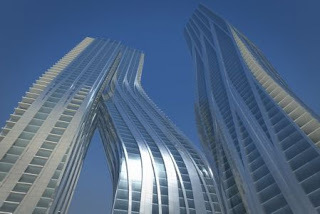 Maybe I am already starchitected out on Libeskind and Gehry, but Hadid’s buildings just looked like more of the same to me. Clever? Yes. Outrageous? Yes, but so what. More like: rich clients wanting to make a statement about their wealth and taste. I think she should have stuck to painting. Or maybe film sets. 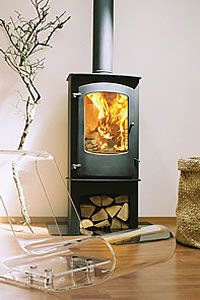 The Code for Sustainable Homes is a hotch potch. Whilst zero carbon and, to a much lesser extent, water use reduction have been discussed at length, if you were to build the most energy and water efficient house possible, you’d still only score 44% of the maximum available eco points. That would get you to Code Level 1. Code Level 6, the top level, requires a score of 90%. So how would you go about garnering the other percentage points required to lever your house up from Code Level 1 to Level 6? You can only afford to lose 10% of the credits available if you want to qualify for Code Level 6. As there are likely to be some areas where your site cannot score at all, the likelihood is that designers will be forced to incorporate practically every feature mentioned in the Code. The elbow room for trade-off is remarkably limited. This is where the Code gets into sticky ground. A lot of these features — there are 34 tests applied in all — are concerned with good design and best practice, but not necessarily to do with sustainability. For instance, having your builder signed up for the Considerate Contractors Scheme (worth 2.25%) is all very well but doesn’t really make much difference to climate change. So why is it being included in the Code? And the requirement for A or A+ rated materials is effectively going to blacklist an awful lot of C rated materials. I am not sure the PVCu manufacturers have yet twigged this, but the Code has it in for them. The more I learn about the Code for Sustainable Homes, the more uncomfortable I get. I mentioned that I had been in on an interesting seminar last week, on the water use guidelines set out in the Code, and this week I investigated a little further, armed with an Excel spreadsheet. Water use is one of two mandatory aspects of the Code (the other being energy use). Mandatory, in this instance, means that you have to meet certain targets as regards notional water use in order for the house to gain a particular Code Level. It’s no good building a zero carbon house if it fails to meet the water use standards as well. Now I guess many people have read the code and noticed these figures and probably thought very little more about them. I certainly hadn’t until I sat in on this seminar last week. Until then, they were just numbers jumping at me off the page: they didn’t relate to anything or any actions. But my eyes have been opened and what I am now seeing is a little disturbing. • I make that 125lts a day each. Give or take 5 lts, that’s it. • This might have been better with a pie chart, but it wouldn’t have been so much fun. The standards set out in the Code would seem to indicate implicitly that this amount of water usage (i.e. 130lts per person per day) is unsustainable — i.e. wicked and to be strongly discouraged. The challenge set out in the Code is not to change the washing or bathing habits of Joe and Joanna, but rather to engineer in solutions which enable them to live exactly as they do now whilst consuming much less piped water. Welcome to the world of water-efficient appliances. Low flush toilets help matters, and that without any apparent pain. If you can specify aerated taps on the kitchen sink and a water-efficient washing machine you can rapidly reduce that notional figure of 130 lts per person per day down to just over 100 lts per day. So far so good. Just as with energy efficiency measures, the first steps are easy and cost effective. So you can get to Code Level 4 without too much hassle. So how do you go that extra mile, or in this case 22 lts, and get the notional consumption down to Code Level 5 and 6 requirements? The answer the Code is steering us towards is, of course, recycling, either via rainwater harvesting or grey water systems. But even by taking this big leap, you are not guaranteed a result. This is because Joe and Joanna, even with the most water efficient appliances installed in their home, are still using more than 80 lts a day before so much as a loo is flushed. Grey water systems, which reuse bath, shower and basin water for toilet flushing purposes, aren’t going to get you under the 80lts per person per day figure on their own. Rainwater harvesting systems can be set up to run washing machines as well as flush toilets and so in theory could get your notional usage figure down below 80lts per person per day, but only if they operate at near 100% efficiency which is unlikely over the course of a year — in prolonged periods without rain, the storage tanks empty and the systems switch over to tap water. The conclusion has to be that this 80lts per person per day figure is really at the limits of what is technically possible at the moment. It may well be that you have to fit both a grey water and a rainwater recycling system to meet the target. Grey water systems seem to cost anywhere between £1500 and £2000, rainwater rather more. That’s not a problem if you are building exemplar homes for demonstration purposes but remember we are aiming this at every new home built after 2016. That is a phenomenal challenge and a phenomenal expense to be borne. There are some further strange anomalies in how the guidance has been put together. If you specify a bidet, you take an instant 5lt per person per day penalty; if you specify a water softener, you take a 12.5lt per person per day penalty. It’s hard to see how anyone will be able to fit these into a new home and still make Code Level 6. On the other hand, if you specify a swimming pool or an outdoor whirlpool bath, there is no penalty at all! Rather than tinkering about with how we distribute water around the home, wouldn’t it be a lot easier and a lot less hassle just to charge the correct price for tap water in the first place? All new homes in England have metered supplies now in any event, so we already have a perfectly responsive mechanism in place for restricting water usage. As has been pointed out elsewhere, there are many parts of the country where water shortage is not and is never likely to be an issue. Shouldn’t the water restriction measures in the Code reflect this? Underlying this is a debate very similar to the one raging over renewable energy. The government seems to be keen to promote onsite renewable energy (also via the Code) despite all the evidence being that it is much cheaper and more efficient to green the National Grid. With water, there is no national water grid but coincidentally, there is an article in this week’s Building by David Lush arguing that there should be. The main argument used against building a national water distribution system is cost and Lush quotes an Environment Agency consultation paper suggesting that it would cost between £9billion and £15billion. That may sound like a lot, but £2,500 spent on water reduction measures in every house after 2016 would cost £625million a year and would end up surpassing the cost of building a national water grid after 20 years. Neither option is exactly cheap. It may be that we should do both: I am not against recycling grey water or rainwater, but I do worry about the Code’s insistence that we must keep putting more and more stuff into our homes in order to make them sustainable. Stuff not only costs, but it breaks down, it needs servicing. Its all very well enthusiasts fitting stuff, but 250,000 homes a year? Has anyone seriously thought through the implications? Just got back from a two-day symposium run by Nottingham University’s School of the Built Environment. There were a number of very interesting and cogent presentations given mostly by academics, architects and materials suppliers, and unusually for an event such as this, an overall theme emerged which could perhaps be best summarised as Code for Sustainable Homes — Whoaaahh, steady on, not quite so fast. Many experienced voices expressed disquiet about the turn of events over the past twelve months, ever since the government published the Code and announced that it intended to move all new housebuilding to zero carbon by 2016. 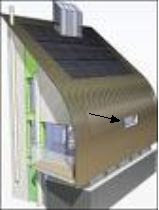 In particular the Code’s almost wholesale adoption of the PassivHaus standard came in for questioning: its apparent insistence on mechanical ventilation with heat recovery came in for a lot of flack, as was its insistence on heavy and expensive triple glazing and almost excessive zeal in which it promoted airtight construction. There was a feeling that this represented a degree of over-engineering for houses in a relatively mild (and getting milder) climate, where many people still routinely sleep with their windows open. The event saw the launch of a set of different proposals for low energy housing in Mediterranean climates, but the question of whether these were more applicable to the UK than the German PassivHaus standard was left for another day. There was also a healthy debate about how best to power these post-2016 homes. The Code explicitly calls for the homes to generate renewable energy to cover their own energy requirements, but it remains unclear just where or how it can be produced. The preferred solution would seem to be onsite, but everyone agrees that many homes will be completely unsuitable for onsite production. But once you accept that the energy harvesting can move offsite, you run into all manner of problems of definition. District heating systems? Shares in windfarms? Or just buying power from a green energy supplier? All are possible, but they are either technically challenging (CHP) or are just another version of carbon offsetting (widely derided). There was also a good deal of discussion about the water saving proposals contained in the code. The idea is that we should aim to be reducing our water use from around 150lts/day each down to just 80 lts/day at Code Level 6, the 2016 standard. That is surprisingly challenging: even if you fit every water saving device, ultra low flush toilet and lo-flow shower, you still struggle to get below a notional 100lts/day. To get right down below 80lts/day requires on site water harvesting or recycling which again was felt to be fine in principle but the thought of rolling this out into 250,000 new homes a year appears to be fanciful at best. But this is what the code demands after 2016. My musings over the precise causes of the timber frame fires last month have been noted by the UK Timber Frame Association (UKTFA). Yesterday, I was invited to talk over the issue with Stewart Dalgarno who works for Stewart Milne, one of our two timber frame giants, and who is currently chair of the UKTFA. He reckoned I had underestimated the amount of timber frame apartment building that is going on. Stewart suggested that as many as 30% or even 40% of the medium-rise apartment market was now being constructed in timber frame and this accounted for 300 or 400 sites at any one time across England and Wales. As far as he was aware, there had never previously been any fire damage on the scale seen at Colindale last summer, since when it’s happened three more times, which is what caused me to raise suspicions that these events are not mere accidents, or even isolated cases of arson. From the UKTFA perspective, the good news is that, thus far, developers have not been put off by the fires and that order books this year are healthily ahead of last year. It is one area where the speed advantages of timber frame really does have major attractions, because you can’t sell any part of an apartment complex until the whole building is complete, and this remains a strong pull for the scheme financiers. He also went to great length to show that they were addressing the issue of fire hazards during the construction phase. No one is suggesting that medium rise timber frame is a fire danger once completed, but it does present some unique challenges whilst it is being erected. A report examining the causes of fires and methods of prevention is being finalised and should be published in the next few months, to be followed by a series of training seminars aimed at the construction industry. It transpires that there is usually only a relatively short period during which a timber frame structure can be put to the torch. Once the walls and ceilings are lined, the building is effectively compartmentalised and the risk of fire is greatly reduced. So one of the key initiatives Stewart is suggesting is that, on sites identified as high risk, the lining process is moved up the critical path as far as possible so as to minimise the length of the time spent in the vulnerable panels open, insulation in phase. Ultimately, he sees the industry moving over entirely to closed panel systems where the linings are done off-site, effectively removing this period of added risk. It may well be that the recent fires will end up accelerating this process, which many already see as inevitable in the longer term. In the meantime, attention is being paid to tightening up site management and security procedures and ensuring that timber buildings aren’t left open for many months, as seems to have been the case at Colindale. Reports on the circumstances and causes of the three more recent fires are still awaited. In the meantime, there is little more anyone can do but speculate. Whilst people may argue about what exactly constitutes a natural house, they can no longer have any excuse for not knowing where they are located. Have a look at this fascinating link. Here in the East of England we are well used to seeing plans put forward for mega amounts of new housing. The usual justification for this is that the economy is expanding fast and that we need new housing to provide space for all the new jobs being created in the region. That, plus the hope that more new homes will keep a lid on ever increasing house prices. There is, perhaps not unsurprisingly, a close correlation between the number of new jobs being created and the number of new homes required. The ratio seems to be set at around 9 jobs to 10 new homes. The East of England Plan, now two years old, suggested that we would be creating 421,000 new jobs by 2021 and that we would be needing 488,000 new homes to meet the demand created by these new jobs. Since then the numbers have been slowly rising and today we have a report circulating, as reported in the Cambridge Evening News, that the number of new homes we need in eastern England has shot up to 613,000, presumably extrapolated up from 550,000 new jobs. What no one ever talks about is just what these projections are based on. The East of England is a prosperous area and it’s enjoyed good rates of economic growth for decades. Presumably, these rates are being projected into the future and a percentage point here or there in the projected growth rate results in there being x thousand more jobs and x+0.1 thousand more homes. What you never see discussed is the fact that new houses are themselves creators of new jobs, and hence economic growth. How can this be? Most new jobs in Britain are in the service sector. As the population grows, the service sector has to expand to keep pace. Each new household brings with it demands for teachers, doctors, nurses, shop assistants, bus drivers, car mechanics, gardeners, jobbing builders, estate agents, hairdressers, office cleaners, you name it. Another way of looking at this thorny issue is to realise that whilst new housing is an engine of economic growth, it’s an incredibly inefficient one. Let’s hazard a guess here. I reckon ten new homes are needed to fill the vacancies created by just two new jobs resulting from local businesses expanding, and the other seven new jobs result from looking after the residents of the ten new homes. Consequently, the bulk of our economic growth results from drawing people into the region, not from newly-won business deals. It’s time we took a long deep look at the methodology used to make these projections for both new jobs and new housing. Our aim in the 21st century ought to be to make the existing economy function better, not just expand it for the sake of expansion.